Initially released in 1998, the ATT software has undergone many major improvements over its lifetime. Driven by customer demand, market trends, and technology improvements the ATT software is continuously enhanced to fulfil the diverse requirements of TIG International’s customers. The ATT customers that undertake software maintenance with TIG International receive all new releases as part of their agreements. Below are the main features and enhancements to the ATT solution listed by their version number. Added support for lookup lists on the scanner. Allows the operator to search by description, instead of value for fields like location, cost centre, personnel number, and others. Users may enter or scan a lookup value, or description. Scanner verifies that any value entered or scanned, exists in the lookup list. Searching and location of lookup lists is case insensitive, like SAP. Redesigned the lookup screen, and view screen so the "Find" field is at the top. Looked up descriptions can also appear in the report and spreadsheet. Ability to include a blank item to select "no value" from lookup lists. Supports duplicate descriptions, if they occur. Scanner automatically sorts lookup tables when new assets are loaded. Support for lookup lists to be extracted from SAP. Support SAP location description, as we as location code. Support SAP personnel number, and person's name. Allow lookup lists to be loaded from CSV files. PC application automatically detects installation capabilities, and warns user to set "Use my AppData for Data" flag if required. PC application warns user to check "user_path_to_my_documents" automatically, if no scanners were found. Added asset number to "Blank primary key" warning message to help identify bad asset data. Added support for SAP Evaluation Group 1 text, and Evaluation Group 1 value. 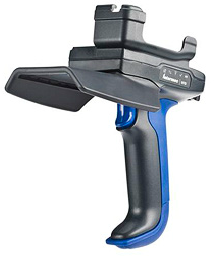 Tested on Motorola MC45 mobile computer and scanner. 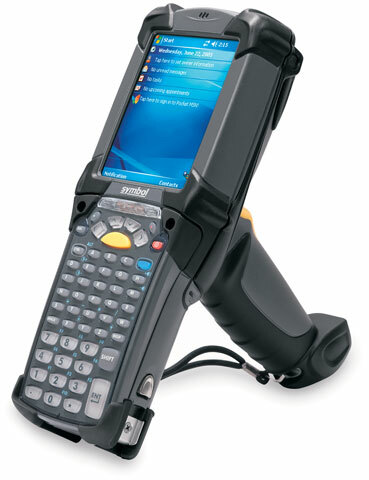 Tested on Motorola MC55A0 mobile computer and scanner. Tested on Motorola MC65 mobile computer and scanner. 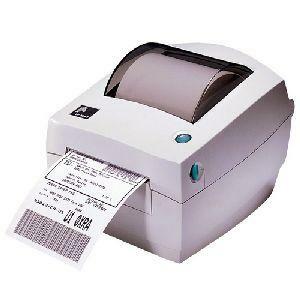 Automatically enables most bar code symbologies on Motorola scanners. Added silent and unattended install and remove options to the installer. Added a menu item to allow the user to choose if they want a personal ATT configuration and data, or shared configuration and data. The Advanced View screen on the scanner may now search using the "room" and "responsible cost centre" fields. Improved robustness of the report. Many minor improvements to cater for Windows 7, 64 bit. Significantly improved Windows installer. Checks for existing software, and old versions. SAP - Evaluation Group 1 field now supported. SAP - Responsible Cost Centre now supported in the selection lists for extracting assets. The scanner now displays the total number of asset records on the main screen. 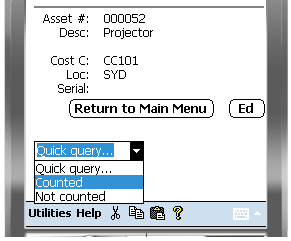 A new Quick Query feature exists on the Track screen, that will search for Counted or Not Counted assets in the current Location. 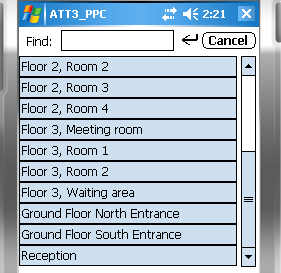 Added support for multiple ATT configurations on the same PC. With the new search feature, you can scan an Asset Number, Inventory Number, Serial number, or any other unique value and the ATT software will search for the asset. 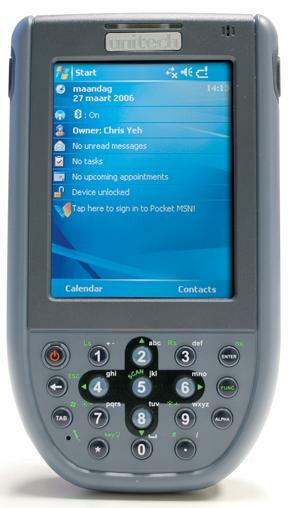 Support added for the Intermec range of mobile computers, such as CN70, CK70, CK71, CN4, CN3, and CK3 series. The PC software can now store its data in the User's Application Data directory. PC software now displays the number of assets successfully updated in the asset register. PC software also displays the number of failed asset register updates, and the reason for the failure. 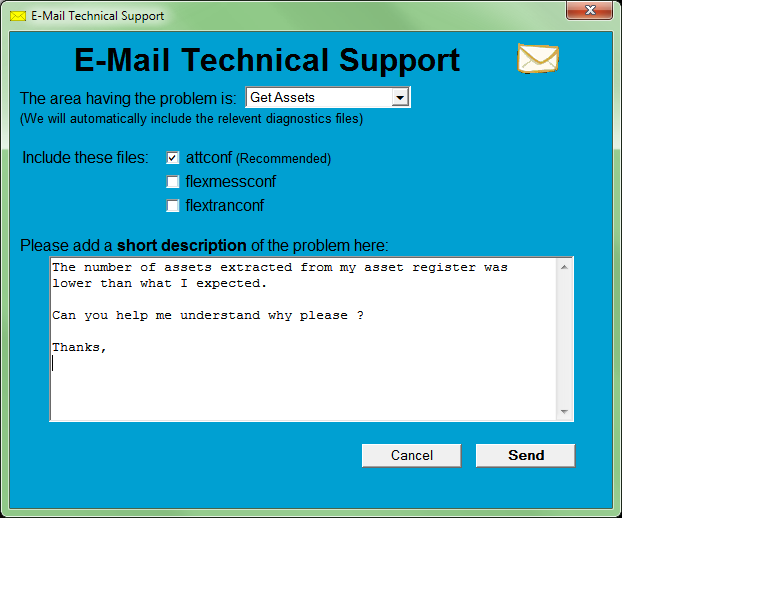 Included a "Email Support" function, that automatically collates and e-mails the necessary information for obtaining technical support. The significant change for ATT version three was the extension of the item schema. In ATT version 2, there was support for about 12 fields. This number jumped to 40 for ATT version 3. This allowed	greater	flexibility	in the device and paved the way for easily supporting additional host systems, including the Oracle E-Business Suite and PeopleSoft. 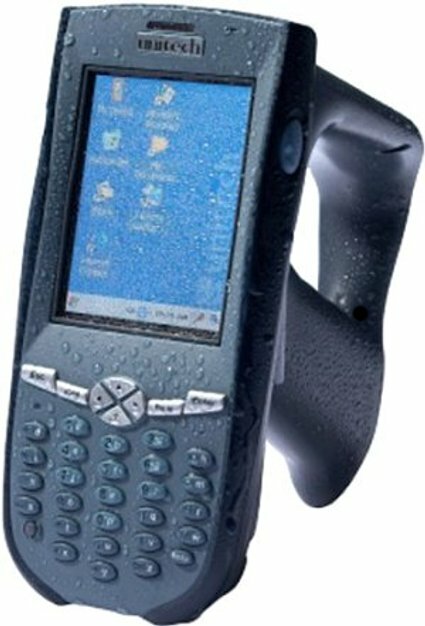 The solution still runs on the popular PalmOS operating system, allowing Palm, Sony, Handspring, Symbol and Grabba devices to be used with the solution. ATT version 3 underwent continuous improvements up to 2008, with both the functionality of the scanning device and seamless integration on the PC side with many host systems. The list of support host systems is still growing with more host system integrations planned for the next few ATT versions. ATT version 3 is a mature product with seven years history and functionality improvements. Its flexibility	and	ease of use makes it the ultimate tracking solution for virtually any host system. The major change for ATT version 2 was the implementation of the PalmOS platform as the selected operating system for the software. PalmOS is widely available on many devices and provides a much richer user interface than the previous DOS version, allowing stylus (pen) based navigation. Additionally, PalmOS based devices were much cheaper than the suitable DOS devices. Migration to the PalmOS platform removed the need for custom developed communications software. Instead, the standard HotSync software that ships with PalmOS devices was used to facilitate the communications with the devices. This greatly reduced the need for user intervention during communications and provided a more robust platform for data capture and asset tracking. Support was added for a text interface and an ODBC interface to facilitate the tracking of items stored in applications like Microsoft Excel and Microsoft Access. 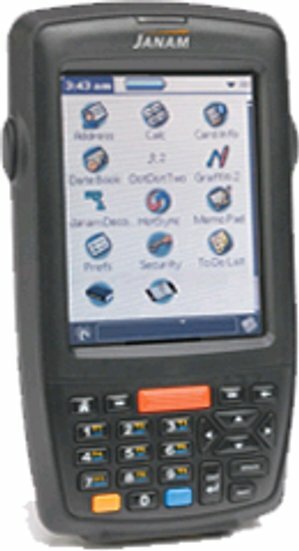 Originally developed for DOS based Norand 6400 series of devices interfaced to SAP R/3, the ATT software used text only screens with very a very simple user interface. All user navigation was achieved via the keyboard. Communications with the devices was achieved using custom developed applications by TIG International and the solution required a moderate amount of user interaction to up load and down load data.